Product prices and availability are accurate as of 2019-04-21 19:14:18 UTC and are subject to change. Any price and availability information displayed on http://www.amazon.com/ at the time of purchase will apply to the purchase of this product. Author Bookstand is proud to offer Green Light Selling for the 21st Century by Bookstand Publishing. 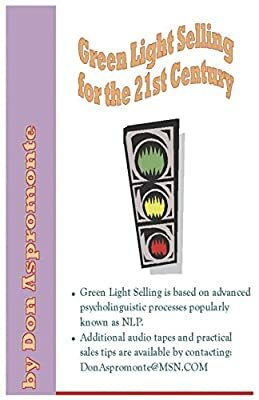 Green Light Selling for the 21st Century has generated a lot of interest and excitement and we think it would be an excellent addition to your library. Currently being used by sales professionals in more than 36 countries, this book is the text for many advanced sales courses. Based on Neurolinguistic Programming (NLP) technology, this is the most practical way to keep your sales opportunities moving all the way to closure. You will learn five simple steps that practically insure that your qualified prospects will become satisfied customers. 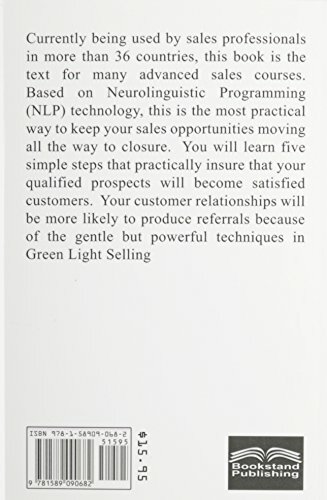 Your customer relationships will be more likely to produce referrals because of the gentle but powerful techniques in Green Light Selling.